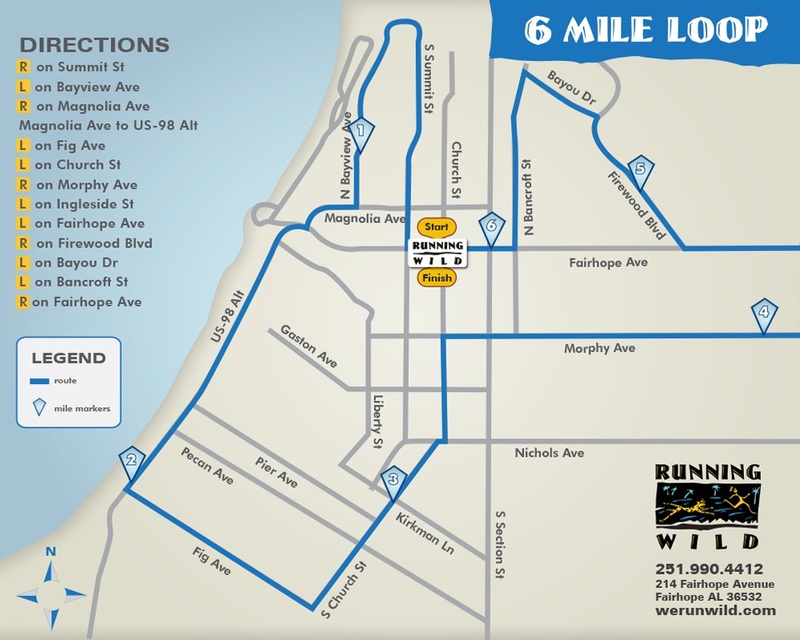 Run or walk starts at 6pm at Running Wild Fairhope. Open to men and women of all abilities. 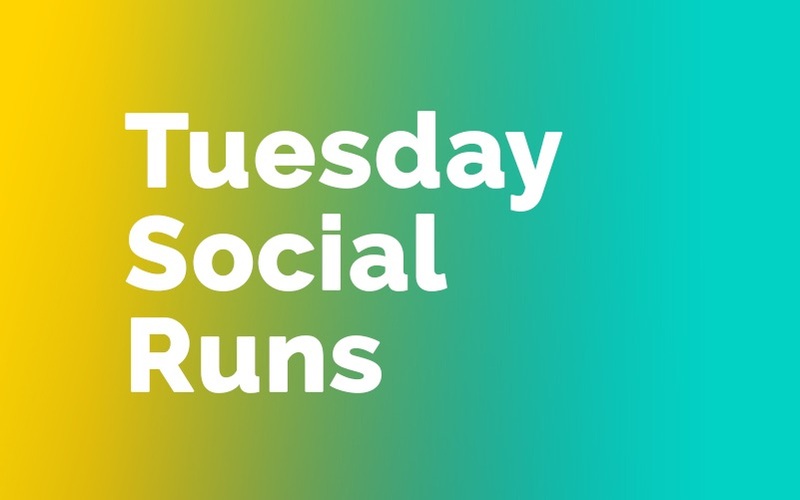 Choose a 3, 5 or 6 mile loop and stick around after the run to socialize! 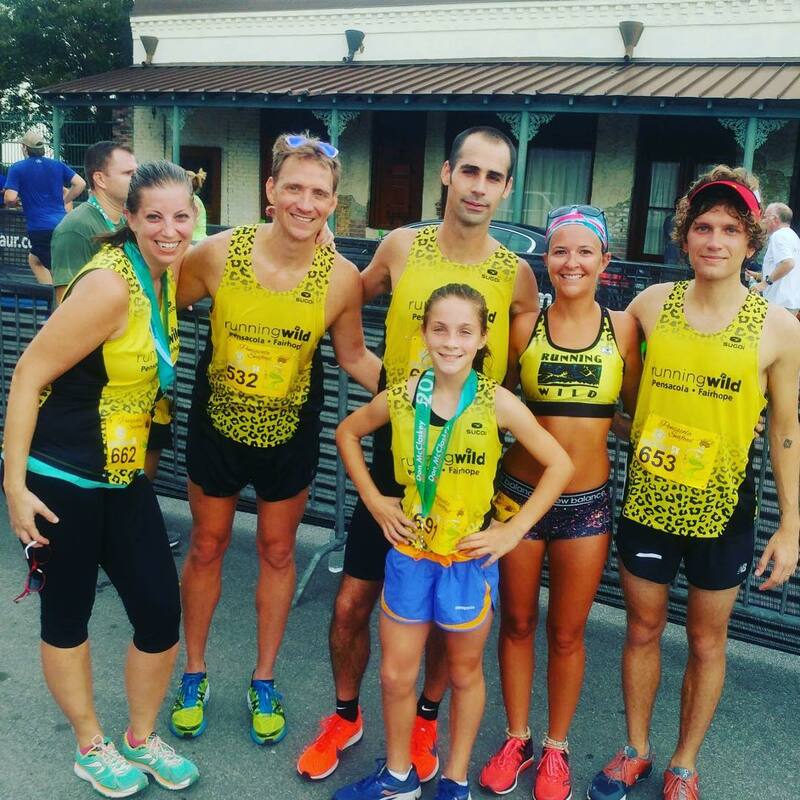 Run or walk from Running Wild Fairhope starts at 5:30am. Choose your own pace or distance, all abilities welcome. 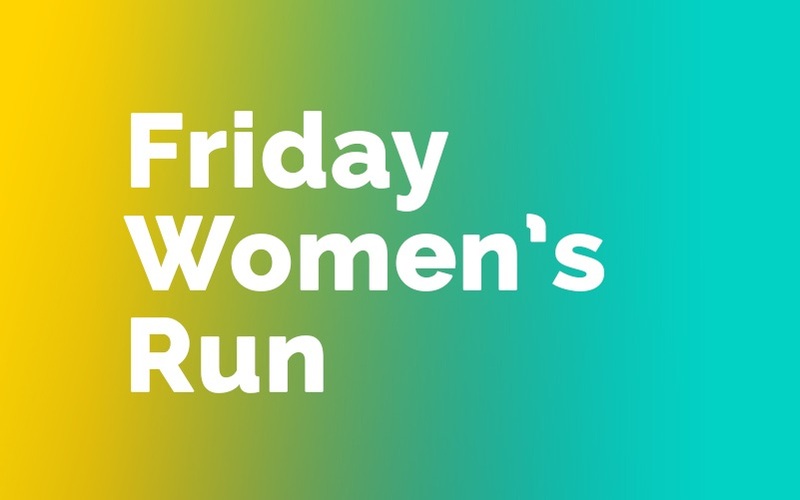 A women’s only run or walk from Running Wild Fairhope at 9:30 am every Friday. Choose your own pace or distance, all abilities welcome. 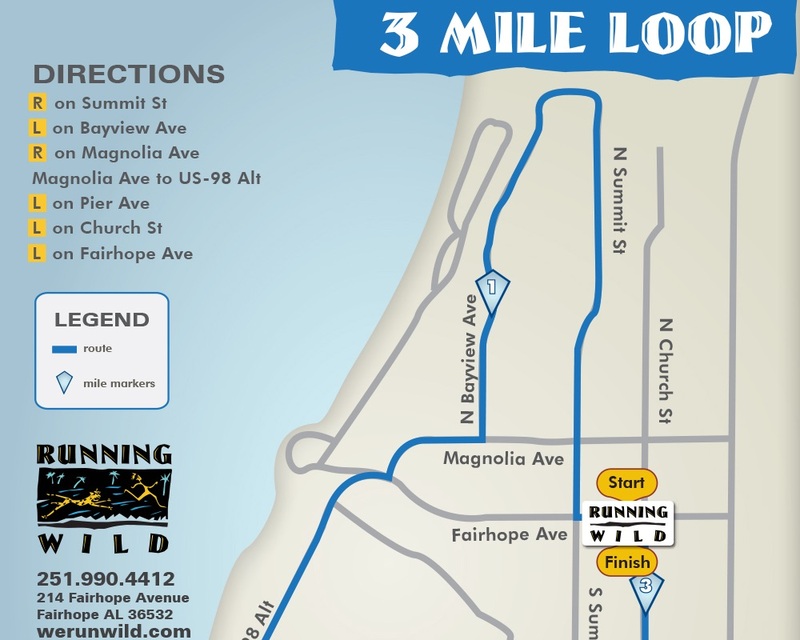 Join us from Running Wild Fairhope for a mapped 8-10 mile course. 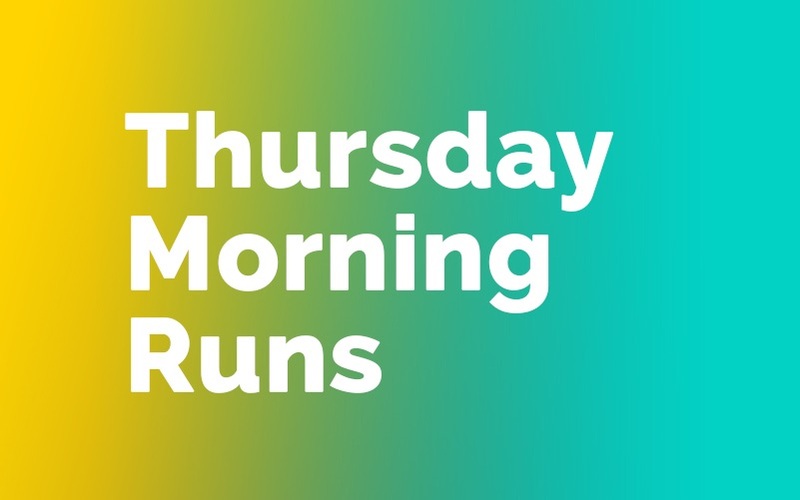 Run starts at 6 am. 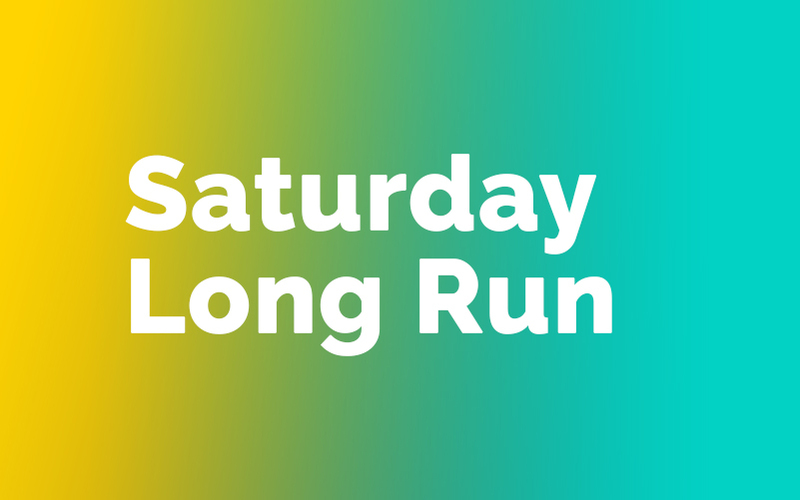 Show up a few minutes early to stash your keys, use the restroom and get water. All abilities welcome. Run Routes that start from Running Wild. We invite you to park at Running Wild and use us to store keys, get water, use the restroom and stretch after the run.